This is my take on a classic guitar model. Constructed with a Lutz spruce soundboard and mahogany body, mahogany neck and macassar ebony fretboard, bridge and headstock veneer. 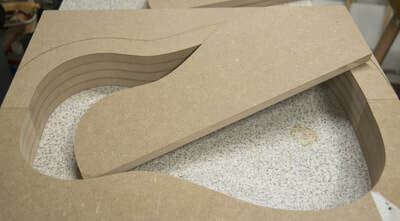 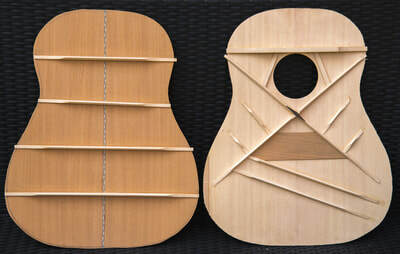 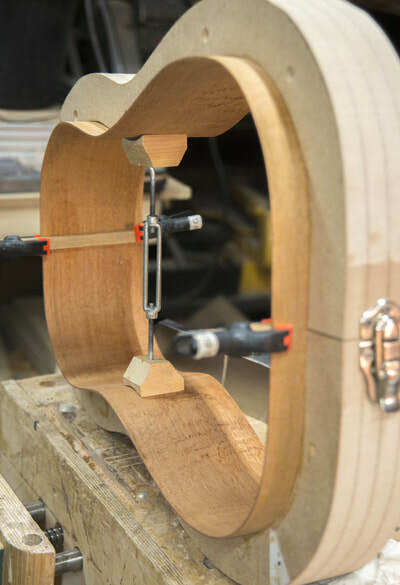 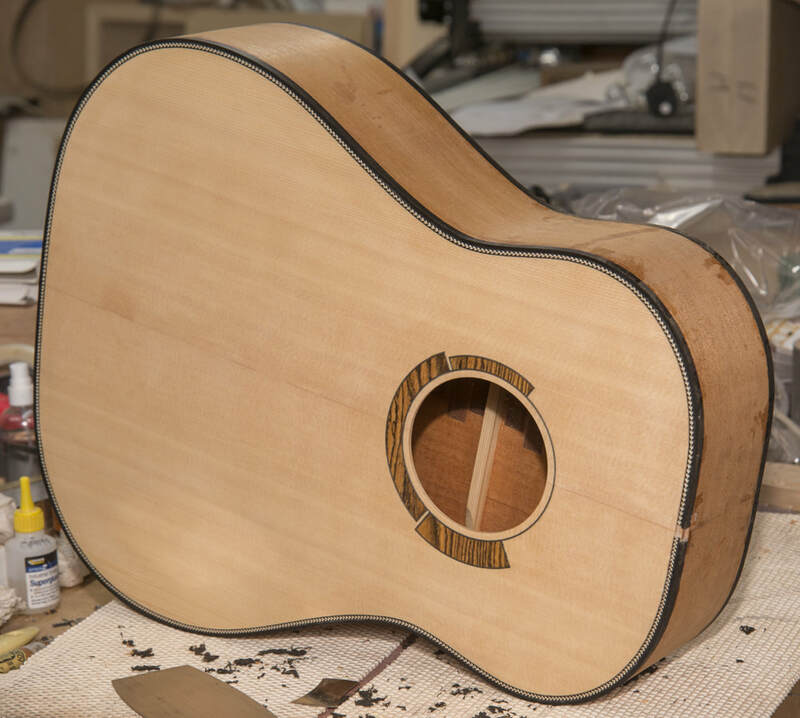 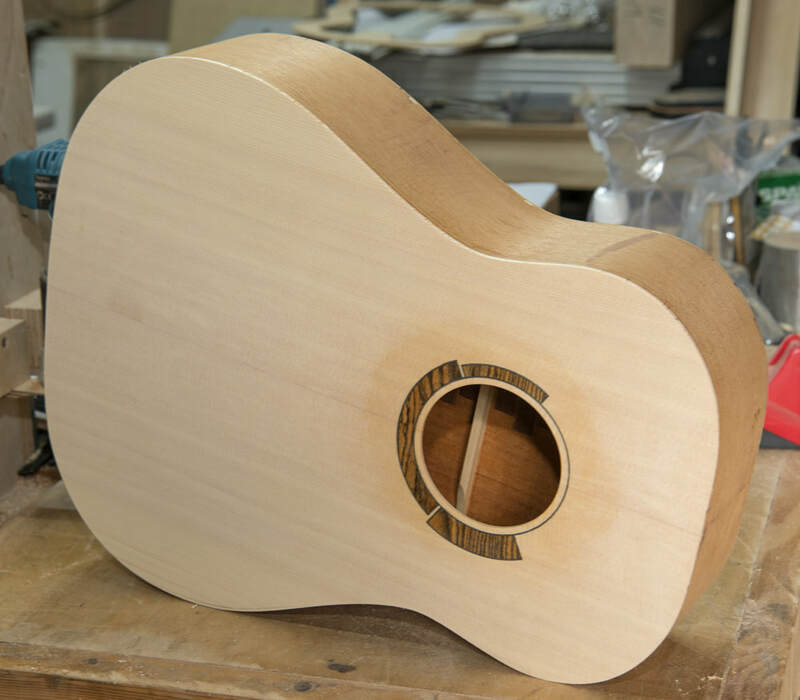 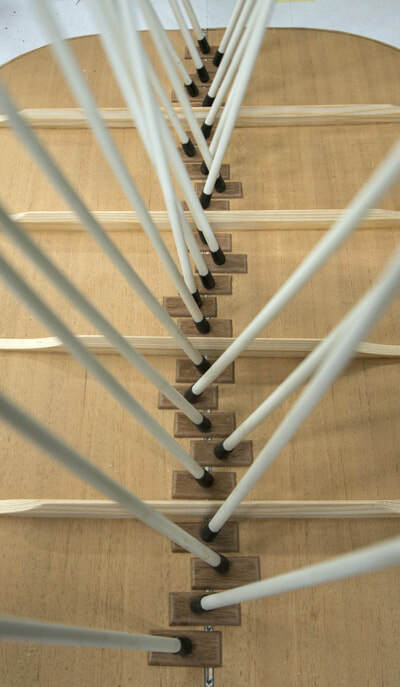 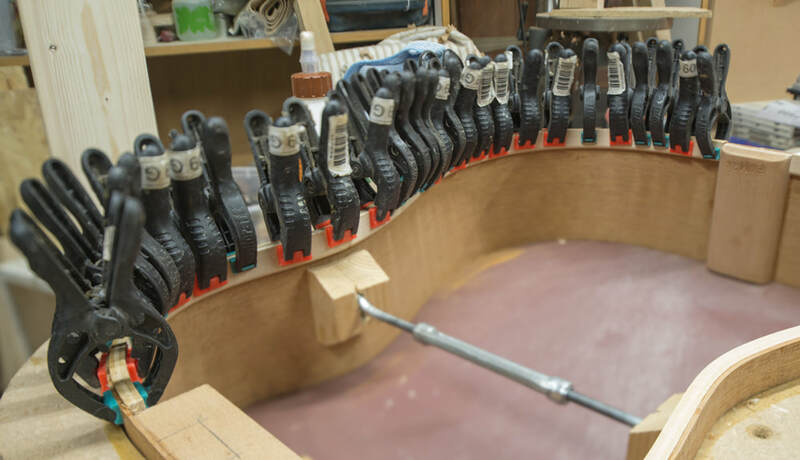 Soundboard is X-braced, back ladder braced, the neck has a two-way truss rod and carbon fibre stiffeners. 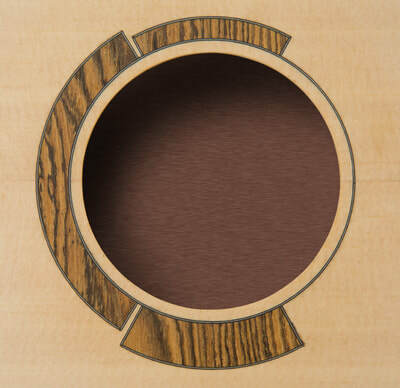 The rosette is made of bocote segments each bound with white-black-white lines. 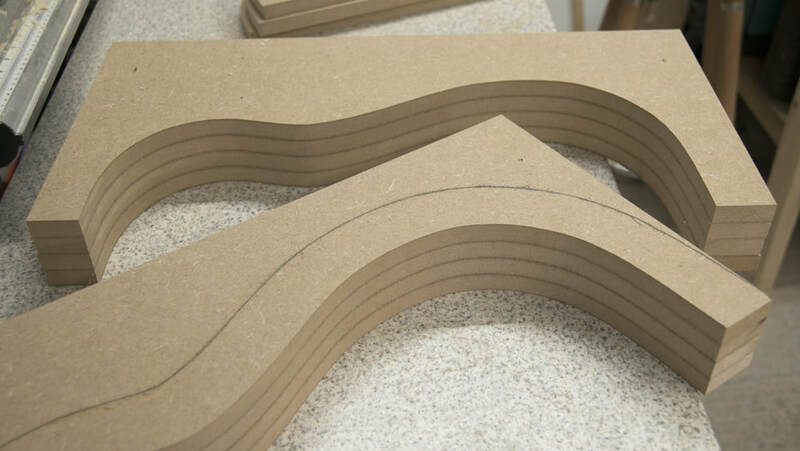 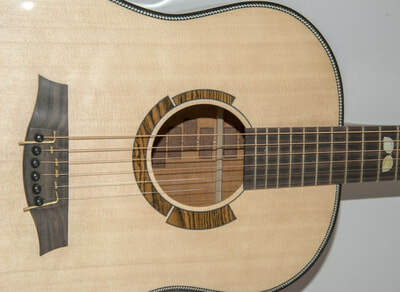 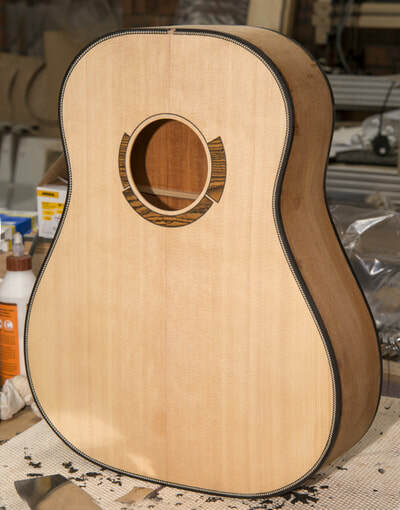 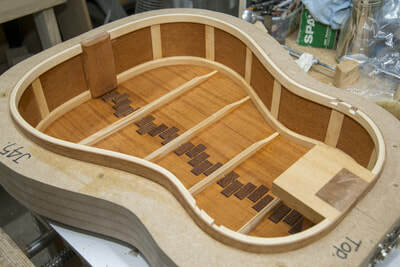 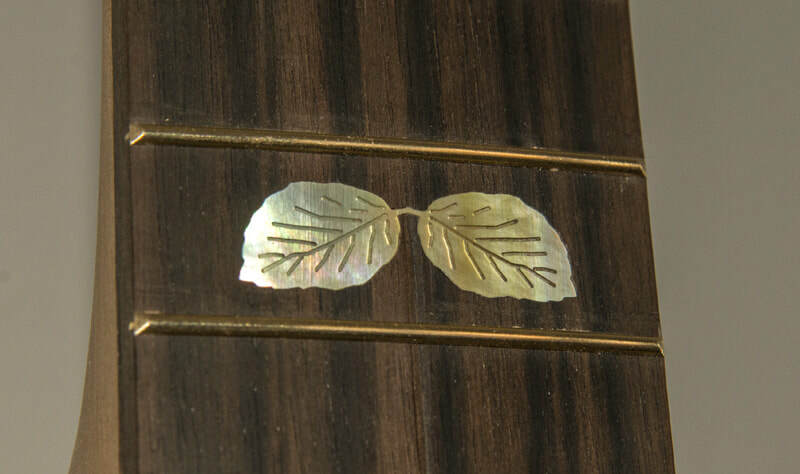 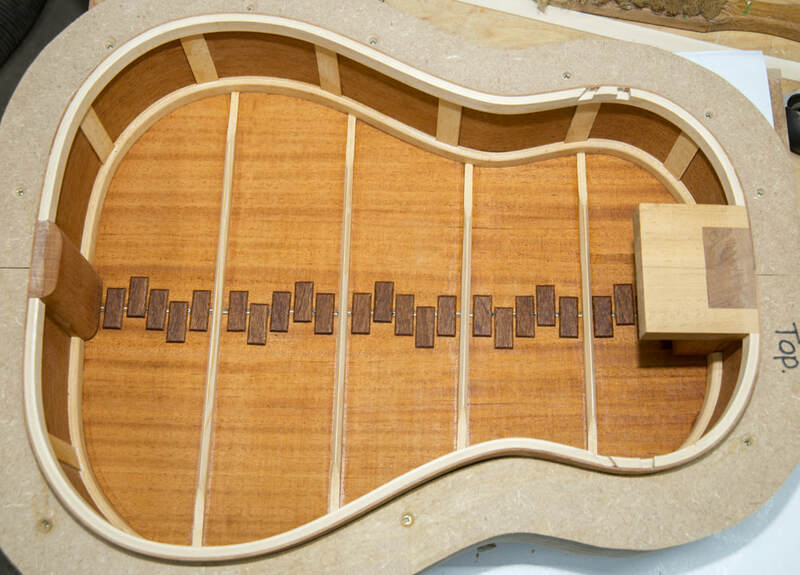 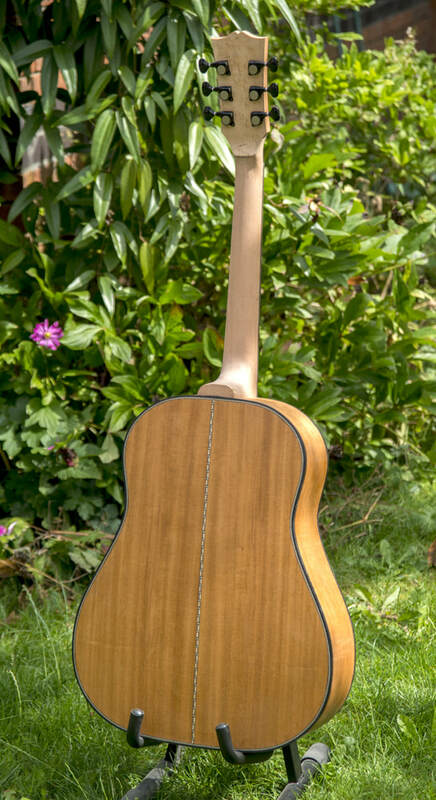 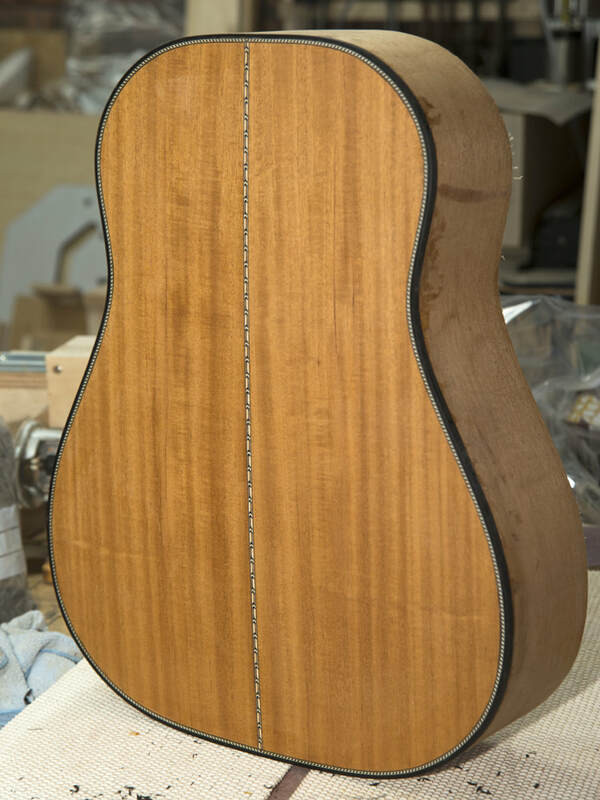 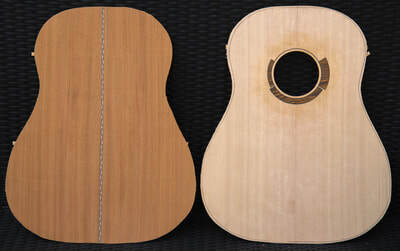 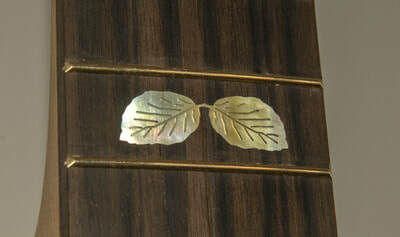 Laminated Lime linings have been used to support the soundboard and back plates, the 'marriage strip' on the back plate is made of Sapele platelets set out in a wave like fashion. 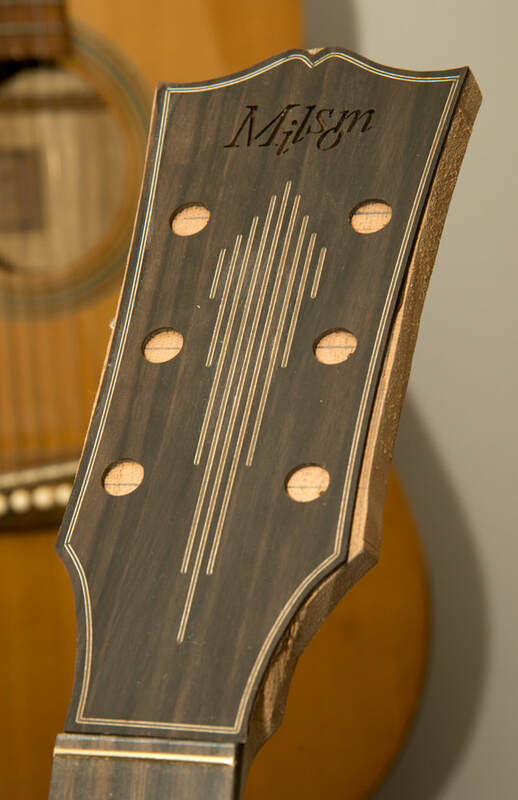 Bindings are ebony with herringbone purfling to the soundboard and a diagonal design to the back plate. 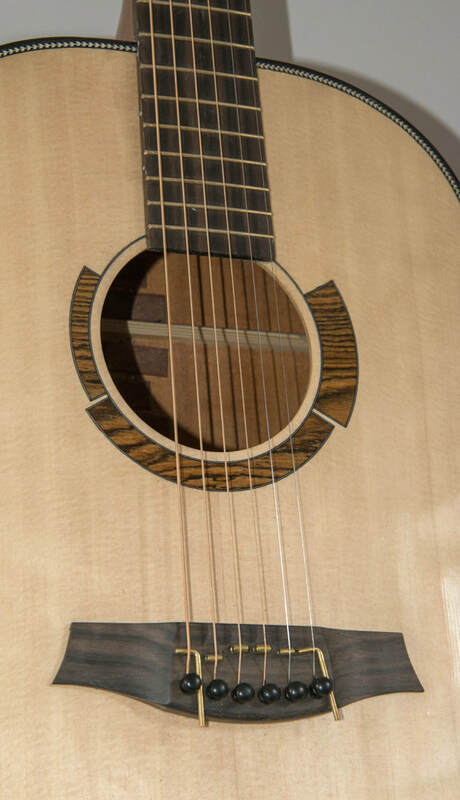 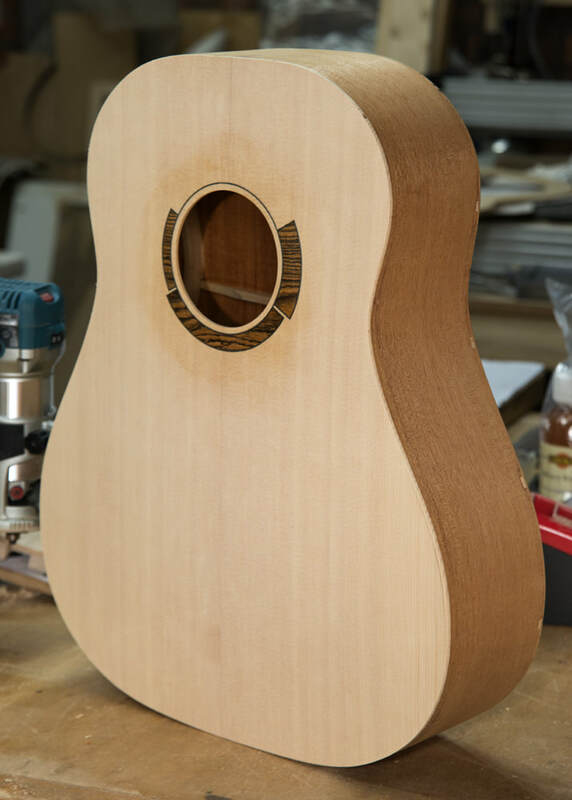 The neck is a bolt-on, bolt-off design using three stainless bolts accessed from the soundhole.